If you order in large quantity, you can go 2043 tank wholesale or www.buydirectchina.com. 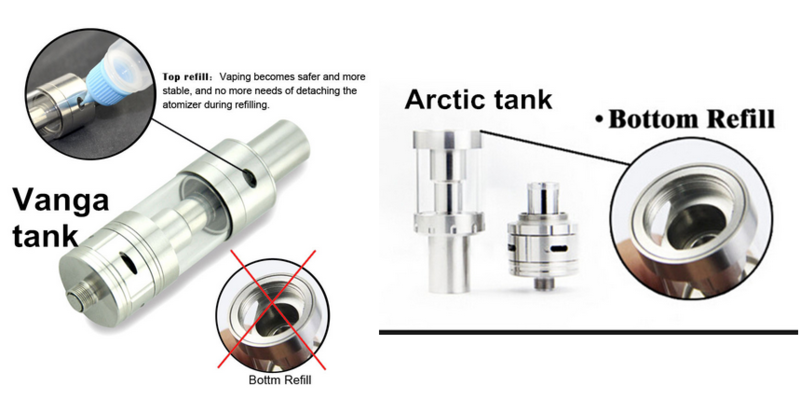 The Vanga sub ohm tank is new innovative design of a side oil fill hole,Vaping becomes safer and more stable,and no more needs of detaching the atomizer during refilling. Low Resistance - Dual heating coil(0.25/0.5ohm) and single heating coil(0.5/1.2ohm) optional. Health Material - 100% import Organic Cotton made in Japan; food-grade SUS316 stainless steel heating coil; pyrex glass. Pure flavor! Unique design - Durable structure; detachable design for easy cleanning; both top and bottom filling optional; airflow design for huge vapor. Discount - Sample orders are available, discount can be consulted in bulk order.